As we work to honor God and make a difference in our community, we need people with passion to use their gifts and talents to make a difference. We have numerous ways to serve and get involved. If you would like to serve or get more information on servicing click here. You can help with set-up , greeter, computer projectionist, sound techs and musicians to help in our service. (Please note that musicians will need to go through an audition and rehearsal process). We need people who love kids to help teach, run technology, assist the teachers, set up, welcome people, etc. There are opportuntuies to serve in every age group from infants through elementary school. (Please note that a background check is required for everyone who works in our children's ministry). We need people who are interested in serving our community and world through compassion, care and mission trips. 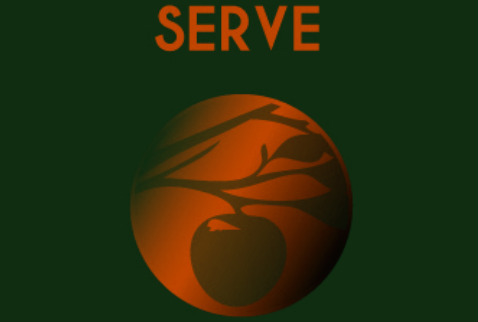 Serving includes helping with events to raise money, helping organize service and giving events in our community, going on a mission trip, among other things. Do you believe you are a leader? Do you believe you might have the gift of teaching? You can enter into our leadership development program. We are looking for a few things in potential leaders: people who are willing to learn, willing to partner, are faitfhul to their commitments and have a genuine growing relationship with Jesus Christ. If you want to take steps to become a leader, please take the time to fill out an welcome/interest card at church and we will help you start on the exciting journey of leadership in the church. Are you willing to work behind the scenes as a servant to build up our ministry resources? We need people to be on the schedule to help clean the church, to help cut the grass, to work on landscaping and help shovel the sidewalk in winter. This kind of service in invaluable to us as a church - please let us know if you interested.